A pair of CH116 6 arm Antique Tin handcrafted Chandeliers add the perfect touch to the rustic Farmhouse Style decor of this living room area. The timeless and classic look of this Antique Brass Chandelier coordinates with a variety of decor styles. 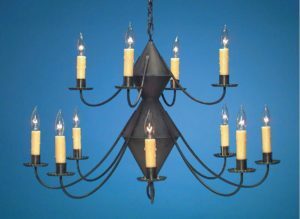 Whether you are decorating a classic Williamsburg, Early American Colonial, Cape Cod Style Cottage, New England Farmhouse,or Log Home this is the ideal antique tin or brass chandelier. In addition no matter which Colonial Tin Chandeliers you choose it coordinates perfectly with any of our Colonial Wall Sconces. As a result from kitchens and family rooms to bedrooms and hallways our rustic metal chandeliers make a perfect decorating accessory for any home. Therefore any of our Antique Brass Chandelier choices combine beauty and function to create the perfect look for you. Another distinctly primitive chandelier option are any of the Handmade Colonial Pierced Tin Chandeliers. You can choose from the 4 or 5 arm CH102 or CH102A in a pierced or unpierced version. In addition the Colonial Punched Tin Witch’s Hat is also available with or without the piercing. 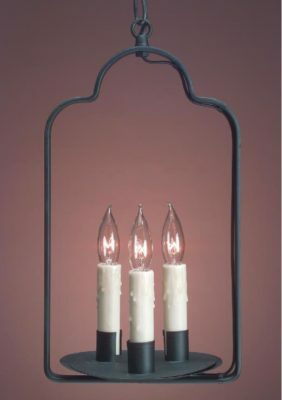 Furthermore we offer each Handcrafted Pierced Chandelier in your choice of Antique Tin or Antique Brass. Most of all they offer the perfect touch to your rustic Colonial design scheme. 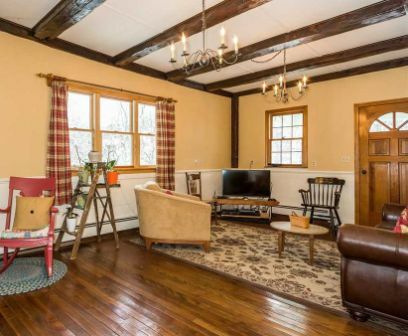 Or perhaps you are decorating a New England Farmhouse. No matter what our collection of Punched Tin Chandeliers, Pendants and Colonial Ceiling Lights offer a wide range of versatile options to choose from. As an added bonus, the charming reflection of the pierced design on the ceiling will delight you!